What is it? 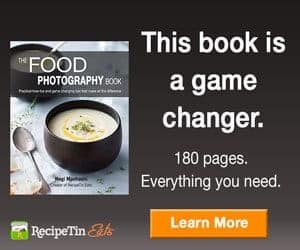 You earn 50% of every sale of The Food Photography Book when someone buys it by clicking on one of your affiliate links which you can link to text or images on your site. Even better, they don’t have to buy it straight away! The affiliate cookie lasts 6 months so if someone comes back within 6 months, you still get 50% of the sale. How much will I get paid? You will receive 50% of the sale. Currently, the price is US$29 which means that for every sale, you will receive US$14.50. This equates to around 4,000 pages views worth of ad income! When will I be paid? You will be paid within 14 days after the end of each month. So for any sales you make in June, you will be paid by the 14th of July. How do I join the Affiliate Program? Just click here to join the affiliate program in E-junkie (free) which is the company I use to manage the sale of The Food Photography Book as well as the Affiliate Program. This is a world renowned company for e-commerce so you can be sure it is secure and reliable. You can read more about them here. New to Affiliate Marketing? If Affiliate links are new to you, refer to my step-by-step guide – How To Create Affiliate Links. It’s easy, and once you do it once, you’ll get the hang of it! 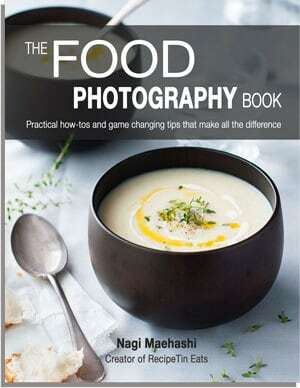 Click here to join The Food Photography Book Affiliate Program! 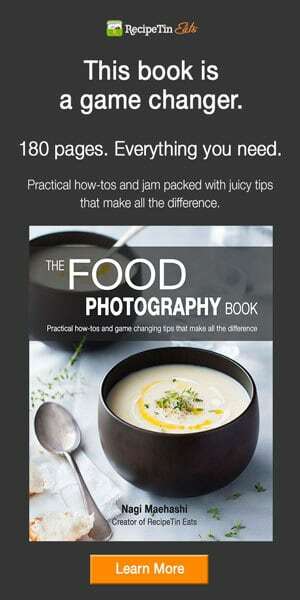 Here are the official graphics for The Food Photography Book that you can use in your sidebar, header, footer and anywhere else you would like to place them. Just right click on the image to download them. If you are unsure how to put these on your site and link the affiliate code to them, follow my simple step by step guide – How To Create Affiliate Links. Tips: Use a Sticky Widget Plugin like this one that I use so the image stays visible even when people are scrolling down. Highly effective! Also, for sidebar ads, I’ve provided links to double-quality images so they display crystal clear on retina. It only works for the 300 x 250 and 600 300. 300 x 250 – Best used for the sidebar. Get a high quality image here for crystal clear display on retina screens (600 x 500). You don’t need to resize, just insert the 600 x 500 image in your sidebar. Otherwise, download the standard 300 x 250 below. 300 x 600 – Best used for the sidebar. This is the one I use on RecipeTin Eats which I have fixed on the sidebar to remain visible even when the reader scrolls down using this Plugin. Get the double pixel high quality image for retina display here (600 x 1200 pixels). 728 x 90 – Best used for the header, footer and at the top of the homepage. Highly effective if used for the header or at the top of the home page because it remains visible even on mobiles. (No higher quality image because it doesn’t always display properly). 680 x 265 (resize as required) – Best used for after or within posts. Highly effective due to size but use with caution because it is very dominant! I’m so excited to finally be launching the affiliate program! To celebrate, I’m doing an exclusive giveaway! This might be a once-in-a-lifetime opportunity because I do not offer blog coaching due to time constraints. But the work I’ve done with a few select bloggers has produced incredible results which was just as thrilling for me as it was for the bloggers! 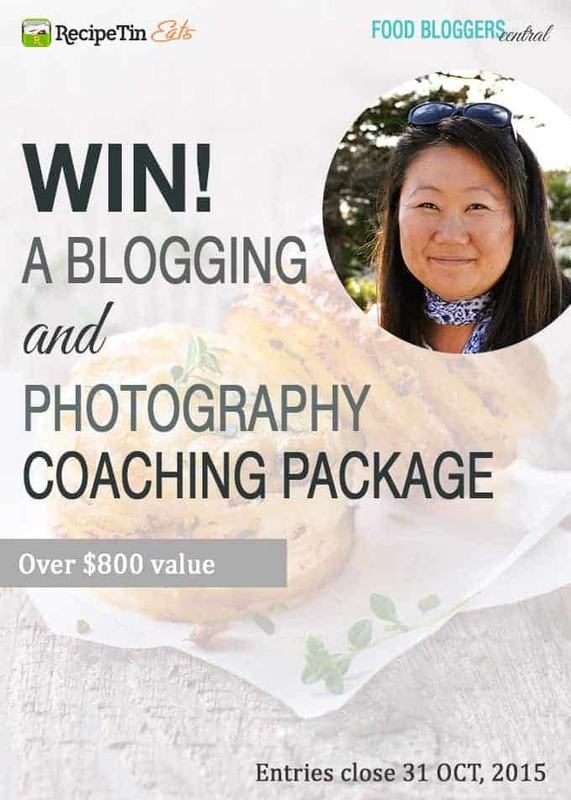 And now you have this exclusive chance to work with me to step up not only your blog and monetising your blog, but also your food photography. This is an exclusive opportunity for private coaching that might never be repeated! (You can read more about me and what I have achieved with my blog here). ENTER HERE! If you can’t see the entry widget, please refresh your screen. Thank you for checking out The Food Photography Book Affiliate program!